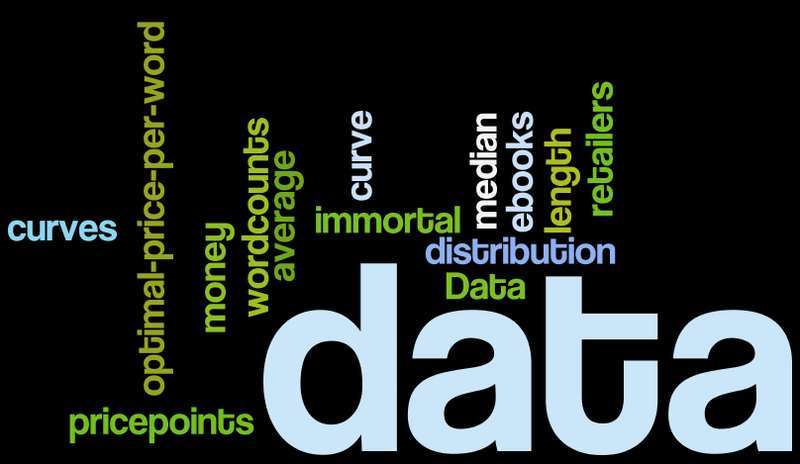 Smashwords: Can Ebook Data Reveal New Viral Catalysts to Spur Reader Word-of-Mouth? Can Ebook Data Reveal New Viral Catalysts to Spur Reader Word-of-Mouth? In my new best practices ebook, The Secrets to Ebook Publishing Success, I explore at great length a concept I call Viral Catalysts. Think of viral catalysts as the virtual knobs, dials and levers attached to an ebook that an author or publisher can tweak to increase reader word-of-mouth. Viral catalysts make books more available, discoverable and enjoyable to readers. See Secret #19 in the book for a full discussion of viral catalysts. Earlier this month at the RT Booklovers convention in Chicago, I decided to approach the viral catalyst challenge from a completely new angle for a presentation they titled MONEY MONEY MONEY, with the subtitle, "How Data Driven Decisions *Might* Help Authors Reach More Readers." I analyzed a nine-month chunk of Smashwords sales data, aggregated across multiple Smashwords retailers, to determine if there were potential data-driven metrics that might reveal new viral catalysts that authors can put to work. The data encompassed millions of dollars in book sales for a collection of slightly more than 50,000 books. My study began with a series of questions that I thought could reveal potentially useful answers. Do authors who change prices frequently sell more books? If ebooks are immortal, how do sales develop over time? How do individual titles develop at a retailer? 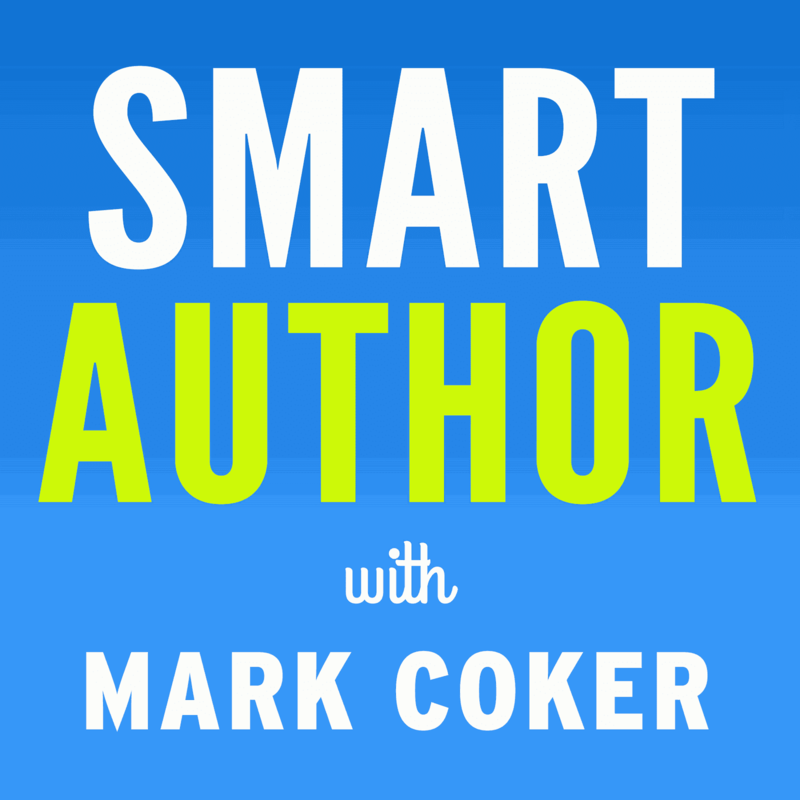 What's the ideal word count for ebooks? What word count do romance readers prefer? What word count do erotica readers prefer? What impact does price have on unit sales? How are Smashwords authors pricing their books? What are the most common price points? What price range earns the author the most money? What does the indie ebook sales distribution curve look like? What's the optimal price per word? To learn the answers to these questions, I presented Henry House on our technical team with a massive wishlist for data dumps, and then I crunched his numbers in a spreadsheet. Some of the findings were eye-opening and useful, and others were simply fun. I uploaded a modified version of the presentation to Slideshare, embedded below. View more presentations from Smashwords, Inc.
As I caution in the presentation, data-driven decision-making is no substitute for writing a super-fabulous book. Write the greatest masterpiece you can, and then review the data for ideas that at best might enable you to add incremental improvements to reader enjoyment, accessibility and word-of-mouth. Viral catalysts are all about incremental improvement. Much of this data has never been shared with authors before. If you find the data useful, please consider sharing it with your friends. Facebook it, tweet it, Google+ it. Embed the presentation in your blog (click here to access the presentation at Slideshare, then click the "< > Embed" link to obtain the code you'll cut and paste into your blog). Talk about which aspects of the data have the most relevance to you and your publishing. Does your experience differ from the average? No problem, this is to be expected. Every book is different. Share your experiences. When authors help authors advance best practices, all authors and readers benefit. Enjoy! Great information, Mark. Thanks for digging up the data and, again, helping authors be the best. I'm going to review my sales numbers and reread your Success book. Thanks very much for this information, Mark: hard numbers (especially statistically significant ones) on eBook sales and pricing impacts seem to have been very hard to find. This conveys some clear information about what eBook buyers want. I'm posting about it in the morning on my site. Ignore previous comment, I was thinking the slideshare thing was a video! Many thanks for doing this analysis, Mark. Most enlightening. But reading this, should I just jump all subsequent books to 2.49 right away? @Daniel, have you considered pricing the first book in the series at FREE? It would probably be worth trying as an experiment for a month or two to see how it impacts the series. It would certainly be a great question for us to explore: Which series yield the most sales for the author, those that have series starters at FREE, $.99 or some other price? This is great stuff. I'd be interested in more price/word analysis. Does any price/word sensitivity show up in larger data sets, say, regressed against sales and earnings? This is the one variable that could create the simplest pricing rule of thumb. Thanks for posting this. Always good to know the true mechanics behind the sales and how the stats impact what is happening. Also, I joined your blog via GFC. Return the favor and join mine? Thx. This is a great book for us newbies. There seems to be lots of info for old timers too. Loved all of this, Mark. But found the info on price point and word count REALLY compelling. The fact that $1-1.99 is such a dud is so counterintuitive and hence particularly helpful. 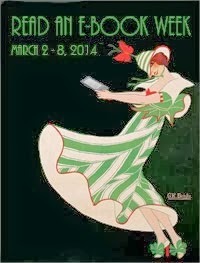 And, as a person who loves to read, I'm delighted that people like long books! Of course with print, publishers don't like long books bc they are more expensive to produce. So this is another reader-friendly, exciting thing about ebooks. Very interesting, Mark. Thanks for the research. Here's an offer for you. Despite my loyal affection for SmashWords, I have maintained a separate Amazon Kindle account for my single-title nonfiction true crime book, Luggage by Kroger, since early 2009. I would be glad to share the monthly historical sales data on the Kindle version with you, if it would benefit the reserach by adding those numbers to the SmashWords data. Sales of the Kindle version have been larger than SmashWords. I also wonder if any other SmashWords authors with a similar separate data feed would want to join in, if that sort of additional data would help you keep records and reach enlightening conclusions. Let me know if that interests you enough to make time for the research. And, thanks again for your contribution to the business. Joining SmashWords in addtion to Kindle was one of the best decisions I ever made. I found the data on book length vs sales intriguing, especially for romance, my genre. My results are slightly different. I've noticed my novellas between 35-50k outsell my longer works. I'm an anomaly yay! thank you for doing the research. the information is really useful and informative. One of the neat things about Smashwords is the sharing of data. Anything we can get that is valid to work with is good. I'm also more likely to read the book, which I already have on the desktop. Thank you. Is there somehow i can find an accessible version of the presentation? Since it is graphical text, I can't read it using text to speech. I am dying to see what you descovered. Great information and thanks for breaking it down for us. I'd certainly never be able to wade through all of the data and analyze, much less make sense of it all. Fascinating data. As a reviewer of e-books I despair at some of the free offers. A book, especially a free one, that contains errors will soon become a deleted one. Self-publishing needs to embrace the whole process and as well as market-place knowledge(and a good story, of course!) proofread it, please. Great book. I read it last night. Great data to help authors position their books. I have made sure this page is bookmarked to re-read on a regular basis! Many thanks Mark. It is indeed very informative, especially for authors. I will bookmark this post, so that i'll be able to go through it as often as i can. Thanks for this information. Hi. I found Mark's stats very interesting and changed my prices accordingly. One book, One Man's Dream, 50K words, one close to my heart, did nothing for two months. then sold a copy, so got a "ranking" of around 1,020,000. So, wanting a few brave souls to at least try it, I took the price off. It shot up as a freebie, one million places in 24 hours. It got as high as 2,350 and stuck. It was however being read and got reviews from five stars to a one star. (?) So I put a price of $2.99 and expected it to fall a million places, but so far only slipped back about 200. Fingers crossed. So, I decided to do the same to another book. Griffin's Witch. Again, took off like a rocket. I'll leave it awhile longer before slapping a price on it. By the way. Anyone getting sales On Diesel? Completely dead for me and a couple of friends. Good luck Smashers if you try the above tactics. Regards, Gary Weston. Hi. Brain dead!!! I should have mentioned the rankings are on Barnes and noble. Sorry. Hi. For anyone interested in the above tactics and how it is going, so far so good. With the price on One Man's dream, the position held well so far, just slipping slightly. Griffin's Witch is catching it up and picked up a 5 star review. I have put $2.99 on it knowing it will take a week or more for B and N to change it at their end. I have a couple of new titles being put on B and N of the same genre, but they go with a modest price tag already on them. Still not a lot at Deisel???? You should add audio and make this into a you tube video. Some of the graphs were not labeled and I am sure there is a lot of interesting data in this presentation that are not on the slides. Amazing presentation, great with the hard numbers. How do they vary for authors of non-fiction? As a new author with only one book to my name, I found the insights fascinating. Only one problem for me, i found some charts impossible to decypher because the axes weren't labeled. The data presented here is very interesting. I have yet to find anything else that is as comprehensive on the subject of where to set the price of an e-book to maximize profits.